In 2014, I was fortunate enough to be invited along to WOMAD Festival to judge the food on offer. And this year once again, Alan Fox and Mark Laurie from NCASS gave me the nod to join them again. For those that don't know, NCASS are a trade organisation set up to assist and provide food traders and caterers with the information, systems and support to be safe, legal and most importantly, profitable business. They want their traders to succeed and have become a key part of the ever expanding street food and festival food scene. If you are interested in starting a street food business, NCASS will be there to provide you with all the knowledge you need. Check them out. NCASS and festival trader manager Lulu Cowley have been working together to ensure all the insurance, hygiene certificates and all paperwork are in order for the traders to have a problem-free weekend and do what they do best... MAKE AND SELL GREAT FOOD! Oysters On Wheels - Pan-fried scallops and smoked salmon on toast at a festival? YES PLEASE!! The Chai Shop Organic - Organic and hearty veggie curries, chai and cakes. Many Thanks to WOMAD, Mark & Alan from NCASS, Lulu and her team and all the food traders for a great weekend. Back in February my old flatmate Emma contacted me because she was thinking about putting together a food festival in Falmouth and asked if I would like to be involved? 'Of course' was my reply. ‘What do you have in mind? Emma and her friend Mia had found a location in the unspoilt surroundings of Enys Gardens, Penryn, Falmouth. Uninhabited for over 40 years it has recently been privately taken over by owners that would like to see it being used a little more, so why not put on a little street food festival there. The festival accurately named 'Food Jam' held over two days (July 11th & 12th) and was a great way of bringing together local Cornish businesses. The locals were given a taste of how the street food scene works, featuring a street food trail inviting visitors on a culinary journey thru all the street food vendors whilst also enjoying the surrounding historic gardens. Each vendor had a small plate on offer between £3 to £4 therefore encouraging guests try a bit of everything. The trail continued through the house, gardens and marquee, allowing you to enjoy live music, featured talks, food demos and sample locally crafted beer from the microbrewery, Dynamite Valley. Yours truly had the job of comparing in the marquee for the weekend, with inspiring talks from Matt Vernon on foraging and how to skin and cook wild rabbit, Richard Musgrave from Downright Delicious on how to prep for a dinner party, Hiromi from Sushi Ichiban Cornwall on how to roll your own sushi, local seaweed talks, and bee conservation and beekeeping talks from on grounds' beekeeper Roger Dewhurst. With many activities and games offering plenty for little people to get involved and ending each day with live music from Preachin' Country, the weekend was a great success with great attendance over both days. As always I got to eat a lot over the two days from breakfast muffins, wood-fire pizza, Argentinian-inspired steak sandwiches, brioche sliders, pad thai, and custard tarts just to name a few. And as if that wasn’t enough each evening after the festival we’d tuck into the fabulous wares from the traders. Amongst my favourite was the amazing mintydukkalabneh by Sea Dips Cornwall, a creamy, rich, yogurt dip and the equally yummy honeycomb milk chocolate from Chocolarder. It's April and that can only mean one thing to me... The British Pie Awards! This year, the British Pie Awards invited me back to not only judge but to also compère their awards lunch the following day. While looking at the list of judges a few days earlier I discovered that Marcus Bean, lover of all things chocolate and excerise, would be attending and decided via twitter we'd go for a run around the mighty Pie-shire (Leicestershire to be exact) on the morning of the judging. Our plan being that if we were going to be eating pie all day then at least a little morning exercise would just justify what was ahead. On the morning of the big day, the church was buzzing with excitement with local and national press attending. There were 830 pies from over 130 pie makers to be judged and as always it's great to see the Pierates making themselves busy like kids in a candy shop. Before the judging commences 'Revd Kevin' addresses the congregation with a sermon and a pie prayer. My chosen category was Class 1 "The Melton Mowbary Pork Pie" to be judged by myself and master baker Richard Watkins (being a 'Bates' I am allowed an wry smile at that title ;). Richard has been making pork pies for years at his family-owned business in Westgate, Gratham and certainly knows his shoulder from belly. This category calls for all pies to comply with all specifications needed to be an authentic Melton Mowbray Pork Pie by Melton Mowbray Pork Pie Association which is explained as such... "The Melton Mowbray Pork Pie is a distinct product that is recognisably different from other pork pies, both in physical characteristics and in reputation. The sides of a Melton Mowbray Pork Pie are bow-shaped as they are baked free standing, whereas most other pork pies are straight-sided being baked in hoops. The meat used is fresh pork which is naturally grey when cooked, liked roast pork, not pink like other pork pies which used cured pork. The meat must be particulate, as we use chopped pork, not smooth on the palate as most other pork pies are because they used minced meat. The Melton Mowbray Pork Pie is also well jellied and the meat seasoned with salt and pepper." After the all the eating AKA judging, a few of the judges and I rolled ourselves to the local for a welcomed pint and a chance to sit down and adjust our belts. Some of the other judges had tried over 40 pies! Take a peek at all the categories and winners of this year's British Pie Awards. The awards lunch took place the following day and was back in the church and PIE was on the menu for mains and dessert. The awards went very well with Boghall Butchers and Great North Pie Co taking the lions share of the awards but in the end small producer & Supreme champion went to Great North Pie Co. Congrats to all involved! This is was only my second year at this prestigious event but everyone made me feel exceptionally welcome and very much part of the Pie family. Afterwards the day was topped off by a lift back to London from old friends Piebury Corner, who incidentally won 2nd place in Class 8 Chicken Pie category for the “Theo Walcott” Jerk Chicken Porter Pie. Amongst our chat on the journey home they confined in me an idea to take over a well known Spanish island, start selling pies and rename it Pie-biza. Madinat Zayad to Al Ain. Leaving the sand dunes of the western region... we headed to our second destination, Al Ain. An eastern city based on the border next to Oman. Although full of western food outlets (and I can confess to giving in on more than one occasion to Shack Shake), it's also full of hidden gems with cafes serving grilled lebanese and middle eastern spreads with freshly squeezed juices or smoothies. One cafe that particularly stood out was Al Mallah Cafe, a sandwich bar during the day and I seriously recommend the chicken breast and chicken liver sub then after 5:30 pm they fire up the shawerma grills and things get serious (seriously delicious). Now back to the festival, this time it was to be in the centre of town at the Al Jahili Park with a huge fort as the backdrop. The street food traders prepared for their second weekend formulating their menus, poolside may I add. ATE Street Food even sourced some local camel hump for their daily special slider, which mind you sold out in just a few hours. And with the addition of more chefs including Jun Tanaka, Suzanne Husseini, John Quilter, James Walters and a few locals from TV station Fatafeat, the cooking demonstrations now had even more variety with a mix of local cuisine, street food and restaurant dishes all coming together again hosted by the brilliant, Andrew Dickens. It was busier than anyone expected! I kept myself busy between cooking demos by helping some of the traders, my duties included: collecting boxes of cheese sandwiches from the walk in fridge for The Cheese Truck, boxes of apples for Yogusensi, proved dough for Pizza Pilgrims and peeling 2kg of prawns for Donostia Social Club. The event was a success with all traders selling out on all three nights. Back at the hotel every evening the traders resembled a Rugby team after a hard fought win. They were all battered, bruised and nursing their wounds but very high in spirits. And their remedy was like that of a Rugby player by heading to the hotel bar. It was affectionately named ‘Power Hour’ (the bar tended to close with less than an hour to go ;). With Al Ain done and dusted we headed to the final destination, Abu Dhabi. Al Ain to Abu Dhabi. We all knew it was going to be a busy weekend, so the traders usual three to four day break before each festival had now been cut down to just one day by the pool with days spent sourcing and buying, giving themselves an extra day of prep to get ready for the final weekend of the Abu Dhabi Food Festival. As I only had cooking demonstrations to do, I had an evening or two to spare and Suzanne Husseini kindly invited the Real Food team, Andrew Dickens, the wife and myself round for dinner. Now I'm lucky enough to work with street food and restaurants for a living but as soon as someone says 'home cooking' I accept instantly and I'm round in a shot! We were not disappointed... Suzanne put on an Arabic feast of all feasts with dishes like whole baked red snapper, homemade hummus, stuffed vine leaves and my favourite, lemony garlic chicken on rice with yoghurt sauce. We all left very happy and very full. Seriously, everyone needs to grab her cook book. This time the festival was to be directly on the beach, on the Corniche to be exact. Right in downtown Abu Dhabi where many of the hotels are based. We were all in a routine now, we were basically a travelling Street Food Festival circus. The Real Food Festival team at the helm getting all the final touches and last minute issues ironed out. The trucks arriving a couple of days before along with the demonstration stage, mobile prep kitchen, fridge and freezer trailers, electrics, plumbing, fencing, music stage, toilets and much, much more. The event again went to plan… BUSY! Even in the midst of a sandstorm, all traders sold out again, the kitchen demonstrations were all full houses and you could sense the people were excited and happy to have us in their city. Abu Dhabi to Heathrow. Heathrow to Hackney. With the 'major' help of Chef Spencer and the team behind #VidaFoodTruck, Taste of Dubai organised a preview event to mark their launch at Vida Downtown Dubai. Together we cooked up a few street food creations including my southern-fried chicken liver burger and sea bass ceviche along with Chef Spencer's lamb dawg, tater tots with braised beef and salsa to name a few. 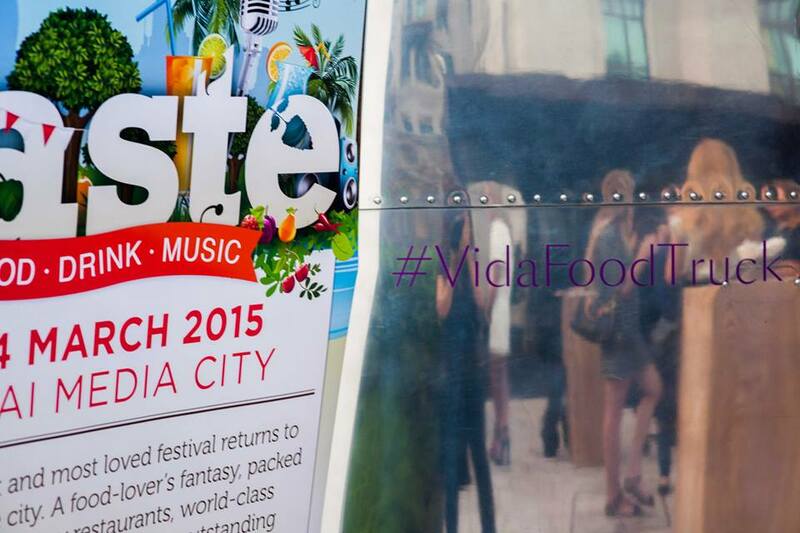 Taste of Dubai will be March 12 - 14th at the Dubai Media City. Join me at the Chef's Theatre and Cookery School. Get Involved! And the journey begins… Hackney to Heathrow, Heathrow to Abu Dhabi, Abu Dhabi to Madinat Zayad. Upon my arrival, I meet with the British street food traders at the hotel on the eve of the first night. They flew in several days before and their trucks shipped from the UK, a journey that took four weeks on a boat. They've been sourcing and preparing local ingredients, everyone's in high spirits and looking forward to the next three weeks. Our first destination is the western region town of Madinat Zayad, right in the middle of the desert! (or dessert as I’ve been picked up upon calling it on twitter ;) The venue is Madinat Zayad Public Park, a lush and beautiful park surrounded by palm trees making it a mini oasis. A first for everyone trading in the streetfood scene I believe? Everyones been hard at work, the sun is shining and most importantly everything seems to have arrived (just in the nick of time), all thanks to the tremendous work of the team from Real Food Festival as they have put their all into these events for over six months to make it happen (Bravo!). Their goal, to be the first to bring street food festivals to the Abu Dhabi Emirate. So what am I here to do? Well, they've incorporated a cooking demo stage and I’ve been asked along with some of the traders to do some cooking demonstrations. Hosted by the patient and damn nice bloke, Andrew Dickens, we think we’ve got a pretty good team. We make an early start on the first day of the festival to head to the local markets to see what ingredients we can find and get inspired for our cooking demos. It’s exactly what you’d expect; Loud, colourful and vibrant with strong smells of fruits and spices. Then we were drawn to the bakery where an insanely good smell pulled me towards some freshly baked potato buns, rich, with sight sweet smell, fluffy and perfect for a hand held snack. Finally we headed to fruit and veg and grabbed some red cabbage, white cabbage, red onion, apple and chilli and all else that makes a perfect slaw. Yep! North American inspired but born in the middle east, I had come up with southern-fried chicken livers, chili slaw in a local potato-brioche style bun. Oh, I forgot to mention that I was gonna fill the base with roasted garlic and chicken fat homemade mayo. YEAH! The street traders are ready for the weekend, 'en place', their menu signs posted and shouting their usual banter between the trucks. We were ready on the demo stage, so let the party begin! ;) From my experience of new street food events opening in different countries and cultures around the world, it's always a joy to see people coming through the gates and well, not knowing what really to expect. It's not a restaurant, it’s a little like a music festival and the big name acts are the street food traders. With colourful trucks and tents each with their unique styling, menus shouting out their offerings and inside the stars/chefs bang out their hits. Cheesy??? A little but bring it on! After an hour the crowd starts to warm up and get the idea… Phones are out, social networking with pictures, queues are starting to gather and the knowledge/know that you're not there to eat just one dish hits home. It's early days here in Abu Dhabi Food Festival and as we roll on to the next cities, it's gonna build up momentum. But what a great event to be involved with, seeing traders from the UK being giving this opportunity is what makes our scene appealing, I'm so proud to be part of this movement, working with small business getting out there and giving it a go, doing what they love and do best, working for themselves, meeting new friends and most importantly serving great food. I wish the team nothing but good times and good fortunes. 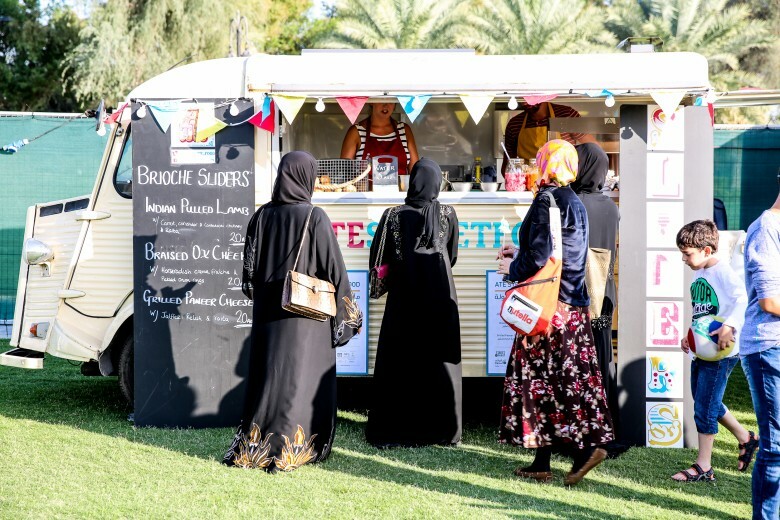 "A gastronomic feast awaits visitors at the first Abu Dhabi Food Festival to be held emirate-wide this February 5th -21st. 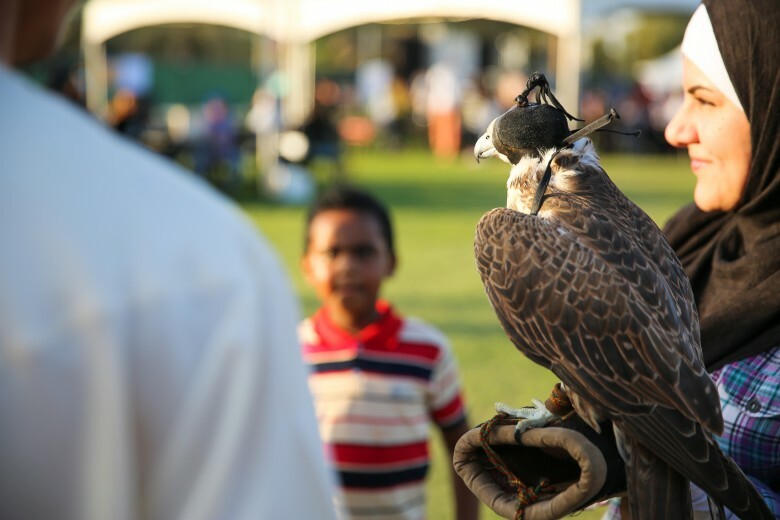 The festival, served up by Abu Dhabi Tourism & Culture Authority (TCA Abu Dhabi), will reach out to residents and visitors alike over two weeks and three weekends and is supported by the emirate’s leading hotels, restaurants, malls and main attractions. 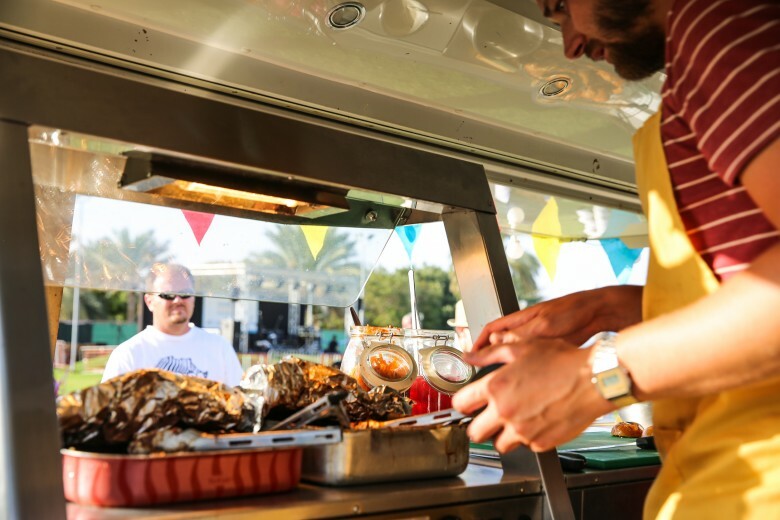 Featuring the best Food Trucks all the way from London, UK and the UAE, Street Feast is an exciting new food festival road-show taking in the whole of the Abu Dhabi region. With cuisines from all around the world, the festival offers the chance for some serious feasting as well as chef demos, live music and entertainment in a unique, family-friendly day out. Street Feast is a new event organised by Real Food Festivals, launching as part of the Abu Dhabi Food Festival, presented by the Abu Dhabi Tourism and Culture Authority (TCA), in partnership with the Abu Dhabi Municipality, Al-Ain Municipality, Western Region Municipality, and Official airline Etihad."